We spent a wonderful 6 days travelling down to Portland for our anniversary this week so the whole spread was about our trip. There were lots of opportunites to collect menus, business cards and postcards from all the places we visited. With so much stuff, along with a busy photo week for us. week 14 deserved it's own insert - just a trimmed down design A page protector so I could sqeeze in some extra bits and bobs! wondering how much our tax bill is going to be! Ha! We're getting far enough into the year now that I'm loosing track of which week is which - I'm going to wear the pages out on the early weeks for thumbing through them each week to count it up!! What I do know is that we're a quarter of the way through the year - WOW! And this project still creatively inspires me! For March I played along with a little instagram photo a day challenge hosted by @fatmumslim. Chantelle hosts these challenges every month which is awesome but I don't think I'll want to participate every month as I think the picture-taking commitment could bog me down.It was fun for 31 days and I may well jump in on a couple of other random months this year. Anyways....all my little instagram photos were put together on a collage to make my first ever project life insert! I just made them all 2x2" and created a grid in PSE. I printed at home and then back-to-backed them in a 12x6" page protector. If you notice there aren't 31 photos - I skipped a few days of taking photos and going back to fill in after the fact seemed a bit cheaty-pants to me! Right from the start we dubbed our trip 'The Gastro Getaway' and we were both so excited about spending time in this fabulous city. For once we really researched online and took a lot of recommendations from online review sites such as Trip Advisor and Yelp - for food and for our hotel. We were keen to check out some brew pubs and the food cart scene, plus Voodoo Doughnuts. 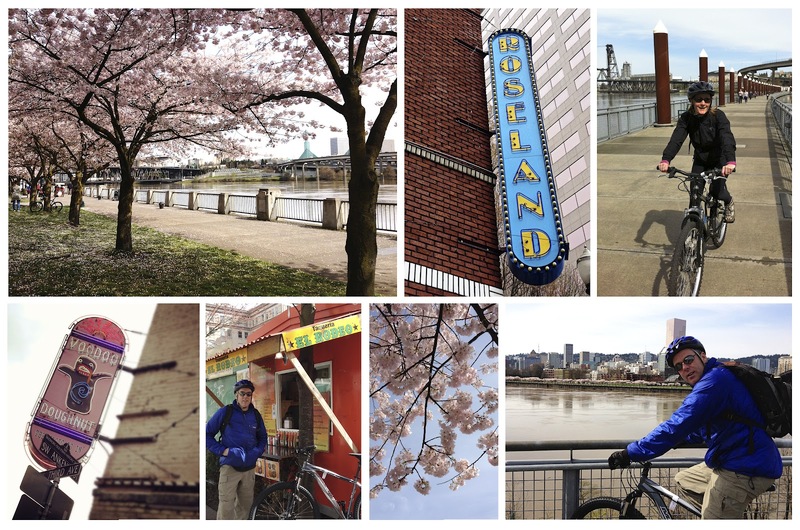 We wanted to go cycling (since it seems so apparently set up for this) and even had checked out a great 15 mile cycle path trail along the river starting and finishing in downtown. Chris isn't normally the planner so much but this time I think our excitement grew from having some things mapped out. We'd booked a room at the Hotel Deluxe - 1940's and 50's Hollywood glamour it said and it totally delivered. (we booked totally based on recommendations from Trip Advisor and Yelp - currently #3 out of 126 hotels in Portland on Trip Advisor) We loved this place. It's an old building so the rooms were not your classic hotel room block shape and apparently varied in size. 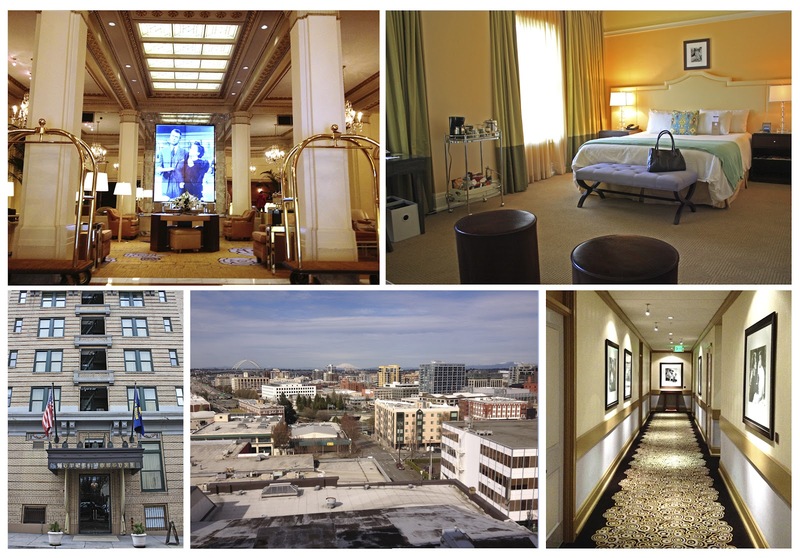 We stayed in a delightful King Feature room, and it was cavernous! All the typical amenities but everything seemed to come with an extra little flourish - so subtle you couldn't even put your finger on it - you just knew it was a little bit 'extra' special. We had the most ridiculous walk in closet - for our 4 night stay! (and sadly Chris restrained me from shopping to help fill it!!) 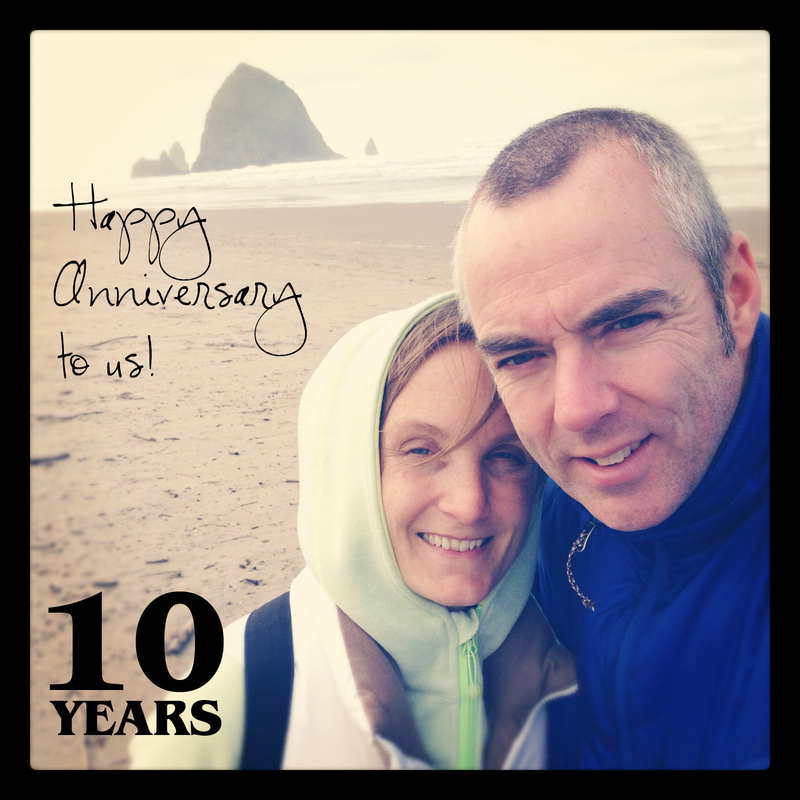 We enjoyed hanging out in our room on the super comfy sofa drinking a bottle of champagne to celebrate our 10th Anniversary and eating Voodoo Doughnuts. On the Monday I even had to work - a (thankfully brief!) teleconference but there was a writing desk where I could gaze out over the city from our top floor room at a distant snow-capped Mt St Helen's. Ah, seriously this place sucked!! - not at all! From the moment we arrived we loved every minute of our stay - the staff were so friendly and helpful, we had the bellhop store our bikes each day, and the room key cards all had old Black & White movie stills on them (obviously I had to keep one!). We ate at the hotel restaurant 'Gracies' (also well reviewed online) and drank at The Driftwood Room where the champagne cocktails and pints of IPA were both featured on the happy hour menu, keeping us both happy and watered! Our first day in the city we really lucked out with a glorious weather day. Knowing these are sadly all too rare in the Pacific Northwest we grabbed the bikes and headed off for our cycle ride, stopping at our first food cart for breakfast. One thing I was surprised about the food carts is how few of them cater for breakfast (most open around 11am). But we found El Rodeo taqueria who served us up a couple of monster sized breakfast burritos. We found a bench in Pioneer Square to picnic on our breakfast feast and they were oh so good! - the tortillas seemed almost sweet, and the fillings of eggs, bacon, cheese and hash browns were just spilling out - it even came with little take-away pots of red and green hot sauces. And they were just $4 a piece! The days that followed we had more typical Pacific NW weather - but we enjoyed a trip out to the coast to Cannon Beach for a little walk and lunch at Bill's Tavern Brew House, and dinner with family at Nuestra Cocina - which was fabulous (also extremely well rated!). We spent the rest of our time eating and drinking - really I think that was all we did!! Oh and little more wandering around this lovely city. It struck me how clean and tidy it was - and so un-crowded - loved Powell's City of Books too - my goodness I would LOVE to have a bookstore like this locally - I think I would just set up camp and live there! This deserves a special mention (since I beleive today -12th April is actually National Grilled Cheese dayl!!) - We stopped by here on our way out of town on our final morning. The BEST grilled cheese sandwiches and a funky old double decker bus as a 'dining room' - LOVED it!! We had the perfect romantic mini break for our 10th anniversary. The hotel really made it for us, but we checked out so many great little eateries that we'd read up on too - and we loved our 'gastro getaway'! (I put on 3lbs in 5 days!). We're a quarter of the way through this year and I'm still loving this project. It sparked my creativity in ways I didn't realise were possible (after completing a miserly 6 layouts last year). I'm using my stash, and am sticking to my resolution to myself to buy fewer new scrapping supplies. I know the original concept of project life was simplicity but I'm happy to while away a few hours a week on the project and make things a little more creative! 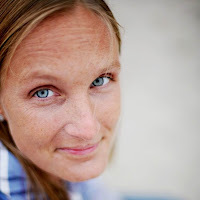 Be sure to visit Alissa at Life on Lakeland who's the next person in this blog hop! I have the turquoise core kit for project life, but as the weeks progress I'm finding I'm using the kit contents less and less (hey - it's great for shifting my stash!). Here's the rest of the people participating in this month's blog hop. 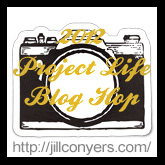 If you get a chance visit them all for some fabulous project life inspiration! Helen www.helen-mills.blogspot.com <<--You are here!